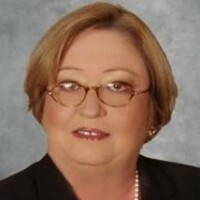 Gail Appelrouth has dedicated her time and talent to the field of child advocacy as a professional volunteer for various child advocacy organizations in Miami for over three decades, and as a guardian ad litem for the Miami-Dade County Juvenile Dependency Division of the 11th Judicial Circuit for over eight years, representing more than 20 children in the foster care system. 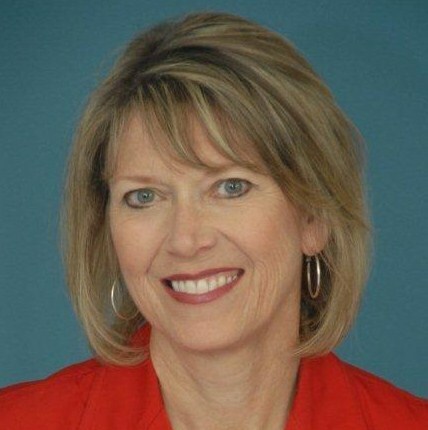 Appelrouth is the Immediate Past Chairwoman of the Voices For Children Foundation, the fundraising arm of the Florida Guardian Ad Litem Program, which also raises funds to collect items needed to instill a sense of normalcy for children in foster care. Additionally, Appelrouth has been a major participant in developing the FIU Fostering Panther Pride program, which provides students coming from foster care and/or homeless backgrounds with the support system to help them succeed academically. Since making Miami their home in 1977, Mrs. and Mr. Bell have been deeply engaged in supporting the Miami-Dade community with their leadership and philanthropy. The Bells are generous contributors of their time, talent and resources to numerous charitable organizations, but their philanthropy is principally focused on improving the lives of those who otherwise lack the opportunity and resources to maximize their potential. Together, they serve on the Board of Trustees of the Florida United Methodist Children’s Home. They are also the principal financial supporters of Branches, a multisite organization supporting underserved children and families to transition from poverty to prosperity, as well as founding members of the Branches Advisory Board, which Mrs. Bell chairs. Mrs. Bell is the immediate past chair, and now chair emeritus, of the Board of Trustees of Chapman Partnership. Mrs. Bell also serves on the Steering Committee of the American Red Cross Tiffany Circle, and is a longtime member and past chair of the Red Cross Ball Committee. Mrs. Bell is a trained Stephen Minister, and she served for three years on the Board of Trustees for St. Thomas Episcopal School. The Bells also provide significant philanthropic support to a wide range of other service and cultural organizations including Adrienne Arsht Center, Baptist Hospital Foundation, Barry University, Big Brothers Big Sisters, Camillus House, CHARLEE Home for Children, Cleveland Orchestra, the Early Childhood Initiative, Fairchild Tropical Gardens, Jackson Hospital Foundation, Kristi House, Miami City Ballet, the Methodist Church, Miami Coalition of Christians and Jews (MCCJ), Miami Project to Cure Paralysis, Miami Lighthouse for the Blind, United Way, Vizcaya and Voices for Children. 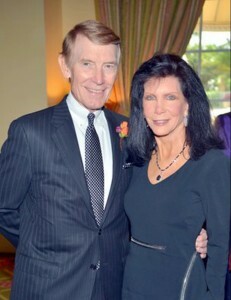 As a result of their impact on the community, the Bells were recognized with: the Alvah H. Chapman, Jr. Humanitarian Award in 2009; Miami-Dade’s Outstanding Philanthropists in 2010; the MCCJ’s Silver Medallion Humanitarian award in 2012; and in 2014, Miami’s Power Couple by Big Brothers Big Sisters. Mrs. Bell has received numerous individual awards for her service to the community, including: Barry University’s Laudare Medal; the American Red Cross Spectrum Award; the Jackson Hospital Foundation Starfish Award; the Big Brothers Big Sisters Miracle Maker Award; the Junior League Woman Who Makes a Difference Award; the National Cancer Society Inner Circle Honoree; the Women’s History Coalition Women of Impact Award; Fairchild Garden’s Philanthropy Award; and the Buoniconti Fund’s Woman of Substance and Style Award. Now retired, Mr. Bell cofounded Kos Pharmaceuticals and led the company, as Chief Executive Officer and chairman, from startup to national recognition as one of the fastest growing companies in the United States. The Bells, who were high school sweethearts, are blessed with two wonderful sons, two sweet daughters-in-law and two precious granddaughters. Risa Berrin is founder and executive director of Health Information Project, a nonprofit organization transforming the way teens engage with health issues. HIP currently recruits and trains 1,000 high school juniors and seniors who become peer health educators in their own schools, supporting them to launch school-wide health campaigns, a comprehensive health curriculum, and a tailored online health resource platform for their schools. By using students to combat systemic, community-wide health issues, the health of a community is transformed by creating a generation of young people who are proactive, not reactive to their health issues. Since its creation in 2009, HIP has worked with more than 50,000 high school students in public and private schools in Miami-Dade County. In addition to her work at HIP, Berrin is the chair of the Health Medical Advisory Committee for Miami-Dade County Public Schools. She is the founder and past chair of the Young Philanthropists of Baptist Health, has been a guardian ad litem for the past 12 years, is a member of the inaugural class of Leadership Florida’s Connect Florida Institute, and was a fellow at the University of Miami School of Law’s Center for Ethics and Public Service. 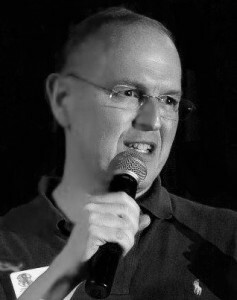 Between 1999 and 2009, Berrin was a part-time writer for the Miami Herald. 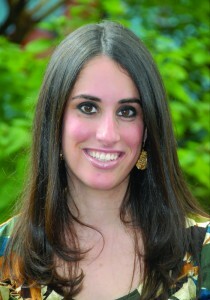 Berrin was born and raised in Miami and is a proud alumna of Miami Palmetto High School. She graduated from the University of Michigan with a bachelor’s degree in English and received a juris doctor (J.D.) from the University of Miami School of Law. Olga Connor is the director of the Office of Communication and Legislative Affairs with the Florida Department of Health in Miami-Dade County (DOH-Miami-Dade). She has held numerous positions throughout her career in state government including that of deputy district administrator with DOH-Miami-Dade and Aging and Adult Services Program Administrator with the Florida Department of Children and Families (previously HRS). Connor has a long history of community service. She is currently a member of the President’s Council at FIU, the Greater Miami Chamber of Commerce, the leadership committee of the Health Foundation of South Florida’s Healthy Aging Collaborative and the Florida Department of Elder Affairs Advisory Council. Some of her past services to the community include serving as chair, vice chair and secretary on the board for the Alliance for Aging as well as working on the boards of: the Department of Elder Affairs Long-Term Care Advisory Council; the Florida State Board of Clinical Social Work, Marriage and Family Therapy and Mental Health Counseling, and the Miami-Dade County Equal Opportunity Board. Connor has been recognized with a number of awards including the Alliance for Aging Elder Advocate Award and a Humanitarian Service Award from Clarke University. In 2014, she received the Path Award for Advocacy from FIU Stempel College and the Sherman Winn “I Care” Award. 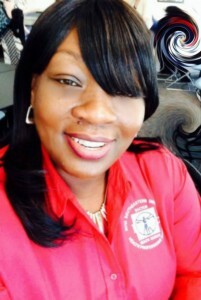 In 2015, she was recognized with the West Perrine Dr. Martin Luther King Jr. Champion Award. Connor is a graduate of Clarke University and was a member of its board of trustees. She attended the University of North Carolina Management Academy for Public Health and is a fellow of the National Hispana Leadership Institute. She has received intensive leadership programs at Harvard University, John F. Kennedy School of Government and the Center for Creative Leadership. 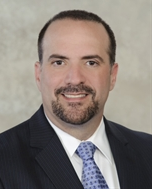 Bill Duquette is CEO of Homestead Hospital, a 142-bed community hospital that is part of Baptist Health South Florida, the largest not-for-profit health care organization in the region. With more than 30 years of experience in health care, he leads a team of more than 1,200 employees, 400 physicians and 150 volunteers. During his leadership, Duquette has overseen quality improvement initiatives that have made Homestead Hospital a local and national leader for patient care, as recognized with a three-time “Top Urban Hospital” award by the prestigious Leapfrog Group and has been designated a “Best Regional Hospital” by U.S. News & World Report. Duquette has overseen the development of a strong hospitalist program, consisting of board-certified internal medicine physicians, in addition to an innovative laborist program. Duquette earned a bachelor’s degree from the University of Miami and a Master of Public Health from the University of North Carolina at Chapel Hill. 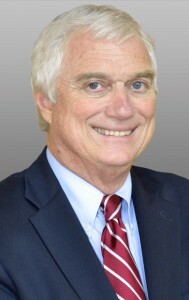 Bob Eadie joined the Florida Department of Health in 2005 as deputy secretary, and became the administrator and health officer for Monroe County in 2007. He served as the interim director of the Division of Emergency Preparedness and Community Support in 2013, and resumed his duties in Monroe County in 2014. He currently serves as a member of the Institutional Review Board for the department. Prior to coming to Florida, Eadie was the deputy director and department counsel for the Metro Health Department in Nashville, Tennessee from 1995-2005. 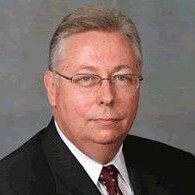 He was with the Metro Public Health Department from 1982 until appointment to the deputy secretary position with the Florida Department of Health in 2005. Eadie was a Morehead Scholar at the University of North Carolina, Chapel Hill, receiving his Bachelor in History. He graduated from Vanderbilt University, J.D., in 1972. He was given a Certificate of Public Health Leadership from the University of Alabama at Birmingham in 1997. Eadie is married to Gayle Richardson Eadie and has five children and seven grandchildren. He resides in Key West and is active in the Sunrise Rotary Club (past director), Military Affairs Committee, Arcturus Society, Leadership Monroe County (past director) and is currently the president of the board of directors, Sigsbee Charter School. Karlyn Emile graduated from FIU in 2005, with a Bachelor in Public Administration, and with a Master in Public Health, specializing in Health Promotion and Disease Prevention, in 2011. 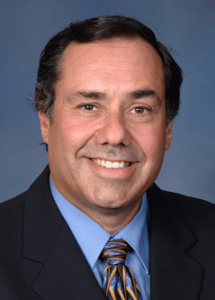 Emile has served the South Florida community professionally for more than 16 years in various capacities. She has worked as an advocate for the elderly with the Department of Elder Affairs. She has also served as a program analyst with the Indian River County Health Department where she served children, families and pregnant women. 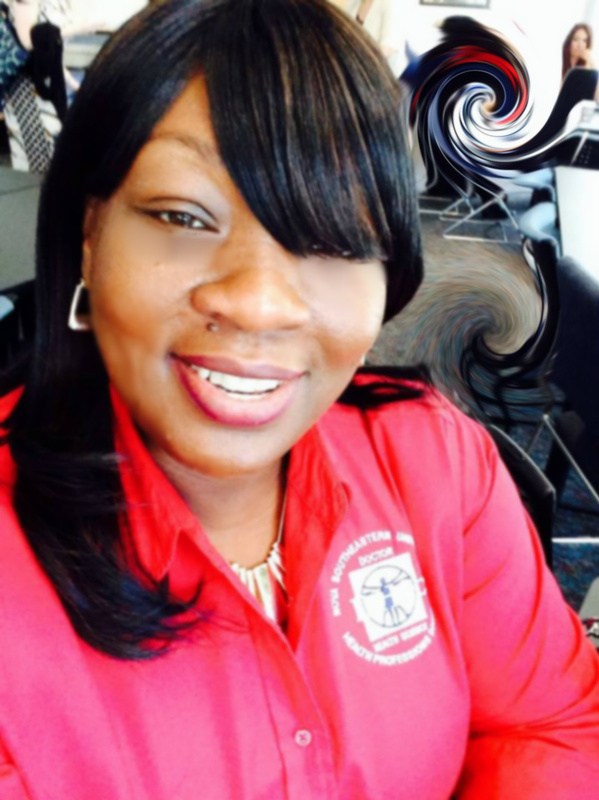 She has put forth noticeable efforts in planning and organizing improvement programs for issues faced by vulnerable community members in Florida. In 2013, Emile was given the task of overseeing the Special Olympics Healthy Community in South Florida. Almost three years later, the program has had tremendous success, forging many professional networks with universities and health care agencies, and serving the unmet health needs of thousands of individuals with intellectual or developmental disabilities. Emile is currently completing a doctorate to better equip her to plan for emerging health challenges in vulnerable populations. She hopes to continue caring for underserved populations as well as ensuring equal opportunities for all for all individuals. Dr. Barry Kinzbrunner has cared for the terminally ill and their families since 1984, when he started at VITAS as the medical director and a team physician in the Broward County program. As chief medical officer, he serves as liaison between VITAS’ many hospice programs and community physicians providing care to over 15,000 patients each day. A national leader in defining the role of the hospice medical director, Kinzbrunner has extensive experience developing professional performance standards, pain and symptom management guidelines, quality assurance, and hospice and palliative care education. He is a voluntary consultant in palliative and spiritual care for JDC Eshel in Jerusalem, Israel, and a voluntary assistant professor of medicine at FIU Herbert Wertheim College of Medicine. The lead author of End-of-Life Care: A Practical Guide, Kinzbrunner has published nearly 30 articles in peer-reviewed journals. He is board certified in internal medicine and medical oncology, and hospice and palliative medicine, and attained Fellow status with AAHPM in 2005. He has a Master in Jewish Studies from Barry University in Miami and was ordained a rabbi in August 2002. 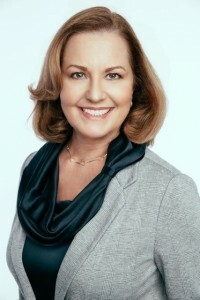 As a health care leader in the community with more than three decades of experience, Marisel Losa is the president and CEO of the Health Council of South Florida, Inc. The Health Council of South Florida, Inc., is a private nonprofit organization whose mission is to be the source of unbiased health and quality of life data and analysis; the preferred partner for quality program planning, management, evaluation and community services; the facilitator of collaboration and partnerships in Miami-Dade and Monroe counties; and the trusted champion for ethical and targeted health care policy at the local, state and national levels. Under Losa’s leadership, a cohesive, dedicated and dynamic professional leadership team provides various services to the community, including needs assessments, emerging needs solutions, marshaling private and public stakeholders to form an integrated network, strategic planning, and program development and evaluation in areas such as service coordination, chronic disease management, reduction of health disparities, and the promotion of wellness and healthy lifestyles for the residents of Miami-Dade and Monroe counties. 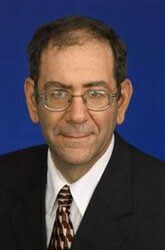 Steven E. Marcus, Ed.D. is president and CEO of Health Foundation of South Florida, a nonprofit grantmaking organization dedicated to improving health and access to quality health services for all residents in Broward, Miami-Dade and Monroe counties—especially the most vulnerable. 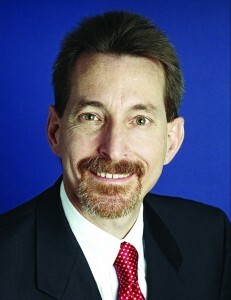 Since Marcus came aboard in 2000, Health Foundation has invested more than $78 million in initiatives to promote a culture of health for residents and the communities in which they live: by sharing the results and lessons of its grantmaking; informing policy and practice through timely, credible analysis and commentary; and serving as a neutral convener of health leaders and stakeholders. Marcus was at the helm in 2008 when the foundation embarked on key initiatives and programs. His leadership effectively guided the restructuring of the foundation’s responsive grant program to priority areas focused on behavioral health, healthy eating, active communities, preventive measures and primary care. Since that time, foundation grants have reached 1.6 million South Florida residents, either by services or through health-promoting changes to their environment, as in schools, child care centers and neighborhoods. Before his current position, Marcus was the executive vice president of Mount Sinai Medical Center Foundation in Miami Beach where he had served for nearly 13 years. He is a past chairman of the board of the Florida Philanthropic Network, a member of Miami Foundation Our Miami Advisory Board and an active participant in numerous community health projects, including Leadership Florida. He received: his doctorate in Higher Education Administration from the University of Georgia in Athens; a Master in Higher Education Student Personnel Administration from Ball State University in Muncie, Indiana; and a B.S. in Education from the University of Missouri in Columbia. Damian Pardo is a financial advisor at the Pardo Group at Morgan Stanley. A native of Coral Gables and Key Biscayne, he has been in financial services for more than two decades. Pardo’s work in service organizations came as a natural extension of his work in wealth management at a local financial firm, where there was an implicit commitment to service as a way of reinvesting in community. He was President of the board of directors and served two terms as president for the region’s largest AIDS Service Organization, Health Crisis Network. He remained on that board through its merger to become CareResource and remains a committed volunteer and supporter. 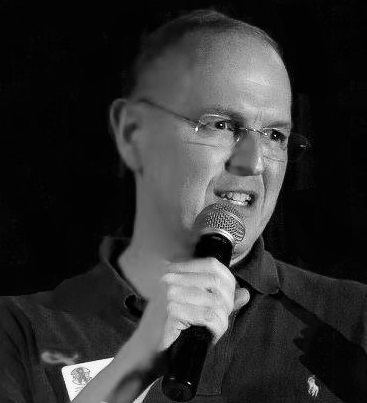 Pardo served as the president of NETWORK, which was the first gay business networking organization in 1991, and which eventually became the Miami Dade Gay and Lesbian Chamber of Commerce. In 1993, Pardo helped found SAVE, South Florida’s largest advocacy and political organization, and served as the organization’s co-chair from 1993-1998. He served on the board of the Miami Foundation (formerly the Dade Community Foundation) for a full term from 2005-2011, and for six years sat on the LGBT Community Projects fund, which distributes funds to local LGBT organizations. Pardo has also served on the board of Hands on Miami, Genesis Fund, Sister Emmanuel Hospital and the Celia Cruz Foundation. In 1997, Pardo was honored with the National Stonewall Community Foundation Award, and in 2003 was honored at the Annual Miami Recognition Dinner. Scott Pridgen, executive director of AIDS Help (also known as A.H. of Monroe County, Inc.) has a long history with the agency that prepared him for his stewardship. From his initial position as volunteer coordinator in 2006, to management of the Housing Department, designation as deputy director and, ultimately, his ascendancy to executive director in late 2012, Pridgen has a long association with the HIV/AIDS pandemic. Preceding his relocation to Key West in 1996, he and a group of concerned friends started the Triad Health Project, or THP, in Greensboro, North Carolina in 1985, an activist group that still flourishes. His Agency responsibilities are legion, ranging from internal policy implementation, media/social services/public event liaison, budgeting, contract monitoring, fundraising oversight, outreach and education, and of course, providing personalized counsel and mediation to the 404 clients of AIDS Help. On an island that embraces the “One Human Family” mantra, he has consistently sought a wraparound approach to client assistance, from addressing mental health issues and substance abuse to social stigma and permanent housing. Under his guidance, bold new cooperatives with other social service organizations in the Lower Keys, including Wesley House Family Services, the Monroe County Department of Health, Womankind and Rural Health Network, have been forged. 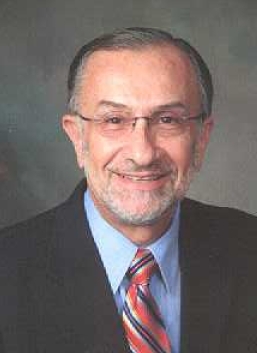 Max B. Rothman joined the Alliance for Aging, Inc. in April 2007, as president and CEO, to provide leadership and direction for programs for older adults in Miami-Dade and Monroe counties. Rothman has nearly 45 years of experience in the field of aging. Before joining the Alliance, he was founder and executive director for 24 years of The Center on Aging at FIU, and he also served as acting director of the FIU School of Social Work. From 1975 to 1983, he served as the first district administrator of the Florida Department of Health and Rehabilitative Services in Miami-Dade and Monroe counties, and he was responsible for administration of nine state health and social services programs. Before joining the State of Florida, he served as executive director of three legal services programs for the indigent in New Jersey, Florida and Colorado. He has served as board chair of the Health Council of South Florida and as president of the board of trustees of the Florida Council on Aging. He has served also as: a member of the Elder Abuse and the Courts Working Group for the National Center for State Courts; a member of the National Advisory Committee for the Hurricane Fund for the Elderly; a delegate to the 2005 and 2015 White House Conference on Aging; and a member of the editorial boards of Generations and Aging Today, publications of the American Society on Aging. 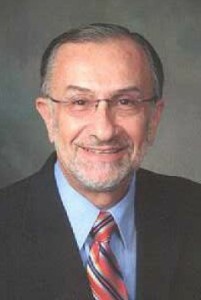 Rothman is the recipient of numerous awards, including the 2012 Path Award for Health Policy and Management from the Robert Stempel College of Public Health & Social Work, the 2015 Dr. Carter Osterbind Outstanding Florida Council on Aging Member Award, and a 2015 Champion for the Elderly Award from Plaza Health Network Foundation. Katy Sorenson is the founder, president and CEO of the Good Government Initiative at the University of Miami, a program to educate elected officials at the state and local level in the issues of governance. 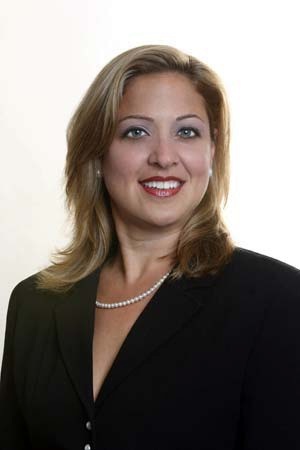 From 1994 to 2010, Sorenson represented District 8 on the Miami-Dade Board of County Commissioners. Her district included more than 170,000 residents of diverse backgrounds, three cities and a significant portion of the agricultural lands of the county. As a commissioner, she was an advocate for equality for all residents, the environment, regional cooperation, child welfare issues and the arts. Her proudest achievements were defeating plans for an ill-conceived airport at Homestead Air Reserve Base, a site located between Everglades and Biscayne National Parks, and sponsoring and passing an amendment to the Human Rights Ordinance which guaranteed civil rights to gay and lesbian citizens. Sorenson was often recognized for her excellence in office, receiving numerous awards for her work, including the first ever Marjory Stoneman Douglas Environmental Award from the Friends of the Everglades. She served as vice chair of the commission from 2002-2004, was on the executive committee of the South Florida Regional Planning Council, and was chair of the South Florida Regional Transportation Organization. In 2004, she attended Harvard University’s Senior Executive Program in State and Local Government at the Kennedy School of Government, which provided inspiration for the Good Government Initiative. Sorenson has a Bachelor in Social Work from the University of Wisconsin, Milwaukee and a Master in Social Work from the University of Wisconsin, Madison. She served as a legislative aide to Illinois State Senator Dawn Clark Netsch and as the executive director of California Women Lawyers Bar Association. She is married to Janis Dzelzkalns, M.D. and they have two adult children, Emma and Arnie. H. Daniel Vincent is the President and CEO of Chapman Partnership providing oversight of the agency’s programs and services since 2001. His tenure with the organization includes serving on the board of directors for four years prior to employment. He served previously as the Area Commander of the Salvation Army of Miami-Dade County. Vincent has more than 35 years’ experience in nonprofit organizational management. He is an active member of local civic and business organizations, having served on the board of directors of Touching Miami With Love, the Miami-Dade County Emergency Food & Shelter Board, and the Miami-Dade Voluntary Organizations Active in Disasters. He currently serves in the Adult Rehabilitation Council of the Salvation Army.